WHAT IS RIGHT? WHAT IS LEFT? This is a video of a debate on ‘What is right? 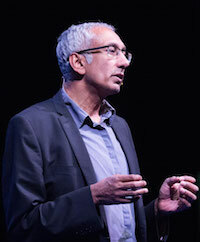 What is left?’ at the Festival of Questions in Melbourne in October. It was hosted by the Wheeler Centre. Seven of us had two minutes each to answer ‘What is right for immigration?’, ‘…for the economy?’ and ‘…for society?’. Sounds mad, but it was actually an engaging event. This is a short shout-out to event organizers and others in Australia. I am coming in August to speak at the Bendigo Writers Festival. The exact details are still being sorted out, but I am very much looking forward to it. I am happy to speak at other events or venues, too. So, if you are interested in organising an event or talk, do get in touch.